An expert says small changes in agricultural irrigation practices could eliminate wasteful water use. Delta Watermaster Craig Wilson says in a report being presented to the State Water Resources Control Board next week that California should crack down and aggressively enforce the state’s ban on wasteful water use. The Los Angeles Times reports Tuesday that Wilson proposes broader enforcement of the state Constitution’s “reasonable use” doctrine rather than current case-by-case enforcement. 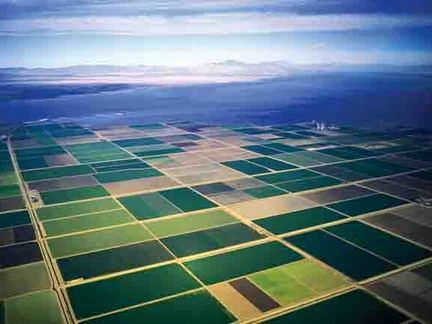 1,300 miles of ancient, earthen levees protect and encircle the Sacramento Delta. Some say this leaves the area, and its crucial water supply vulnerable to an earthquake. Others opine that the levees are sturdy enough. That something seemingly as simple as agreement over the safety of levees can’t be reached is a telling indication of how politically contentious the Delta is. It’s been this way for decades too. It’s all about the water, and who will control it and where will it go. Delta residents and environmentalists have somewhat overlapping interests. They want most of the water to stay in the Delta so the wildlife, fish, and birds will be protected and the area remains a natural resource. In opposition to them, but hardly allies, are farming interests in the Central Valley and the Los Angeles / San Diego water-devouring monsters to the South. Everyone wants that water, and more than a few of the players are politically connected with major financial resources. Add to that a multiplicity of federal, state, and local agencies with regulatory power over the Delta and you get a rather complicated game indeed, and one which is played using brass knuckles. 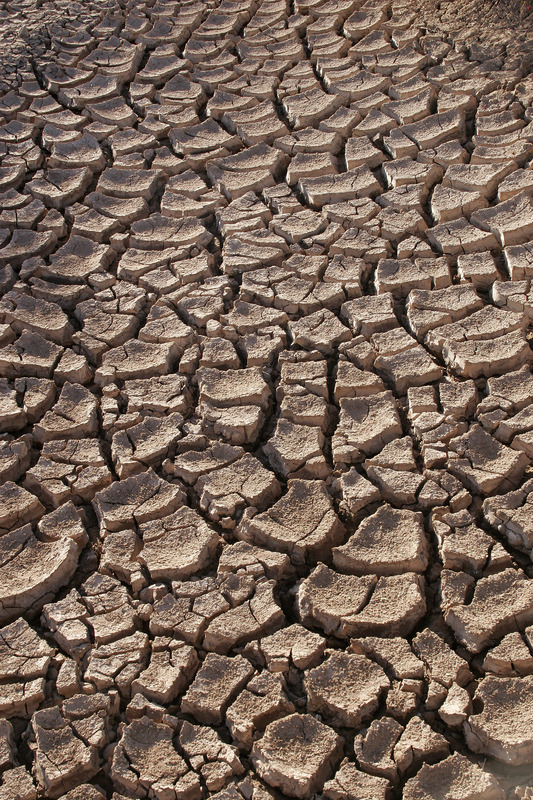 The politics of water in California has always been a barely disguised street fight. Gilbert Cosio stands with his feet spread, one foot higher than the other, astride a sloping, 100-year-old levee surrounding Bouldin Island, 40 miles due south of Sacramento, Calif. We’re here to take a look at improvements that Cosio, a civil engineer, has made to this levee, part of a serpentine network of flood control infrastructure that was imposed piecemeal over the course of the 19th and 20th centuries on the largest estuary on the West Coast of the Americas, the Sacramento-San Joaquin River Delta. The levee was originally made from dirt that Chinese “coolies” dredged from the swamp to carve out cheap farmland for California’s new white settlers. Today, it and the hundreds of Delta levees like it must do more: They must — as they’ve been doing since the 1850s — keep the water out of the farms, many of which have fallen below sea level because of soil subsidence. 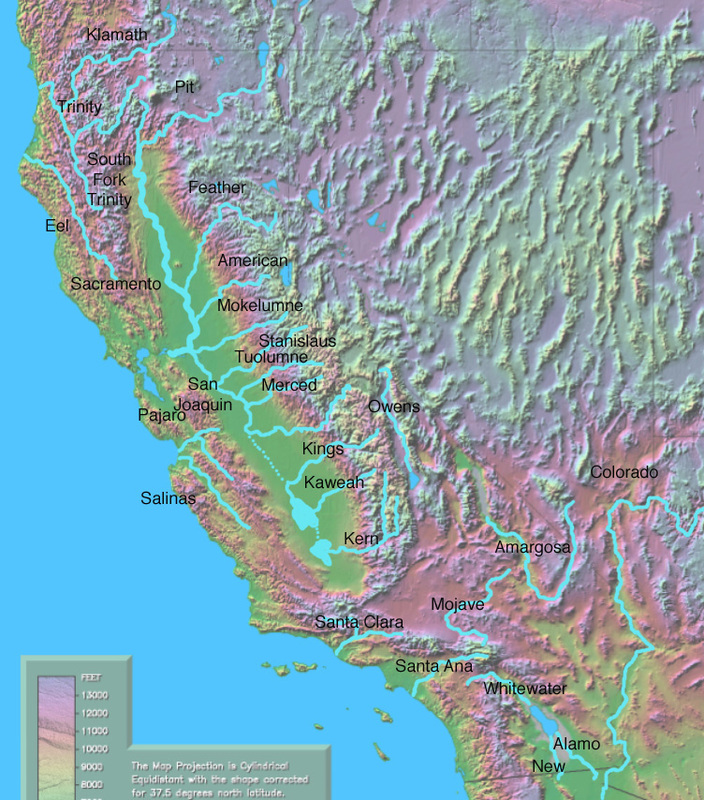 But they must also keep San Francisco Bay, contiguous to the Delta’s western edge, from flowing into the Delta. 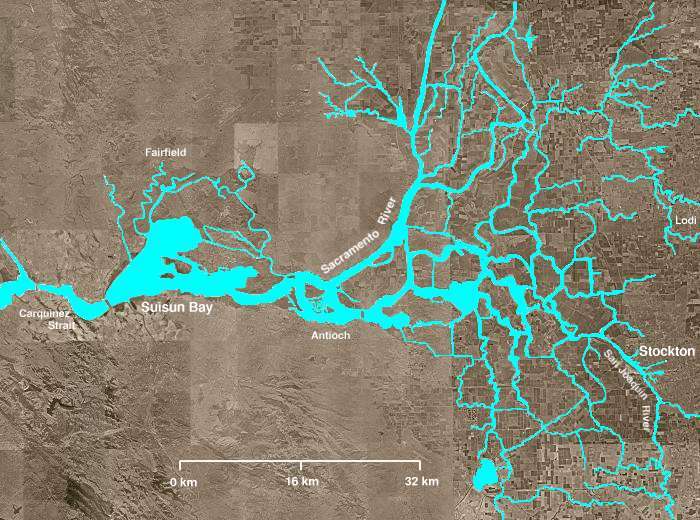 The miles of levees surrounding Delta land also confine the estuary itself, creating a quasi-natural reservoir for freshwater that’s pumped to 28 million people and billions of dollars of croplands, from Silicon Valley to San Diego. And the levees don’t just protect farms and the estuary; they keep cities and suburbs and crucial infrastructure dry. On the heels of the withdrawal of support for the Bay Delta Conservation Plan by Westlands Water District, the San Luis & Delta-Mendota Water Authority has voted to suspend continued funding for the plan. The authority, which serves 29 member agencies throughout the Bay-Delta, and other public water agencies that rely on water supplies pumped through the Delta, have invested almost $150 million and more than four years toward the plan’s development. It’s estimated it will cost another $100 million to complete the plan, according to the authority. According to the agencies, federal regulations have reduced California’s public water supplies by more than a third in the past three years and now the Department of the Interior is proposing even more regulatory restrictions.